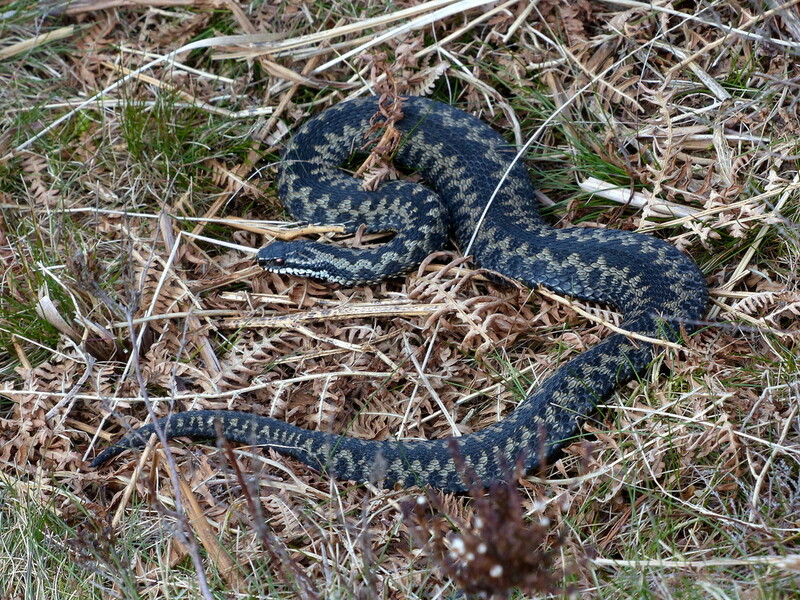 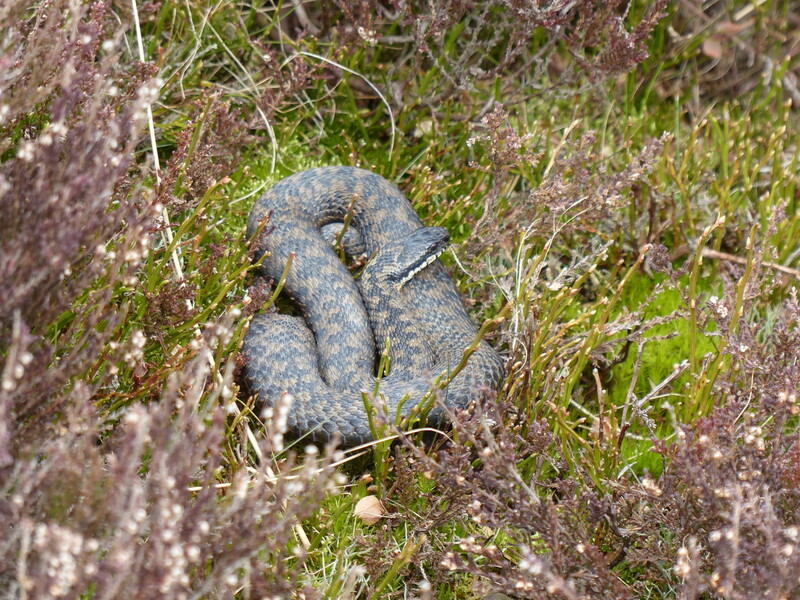 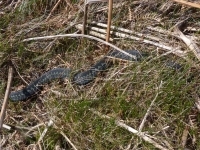 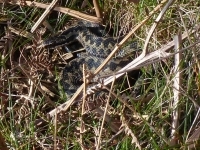 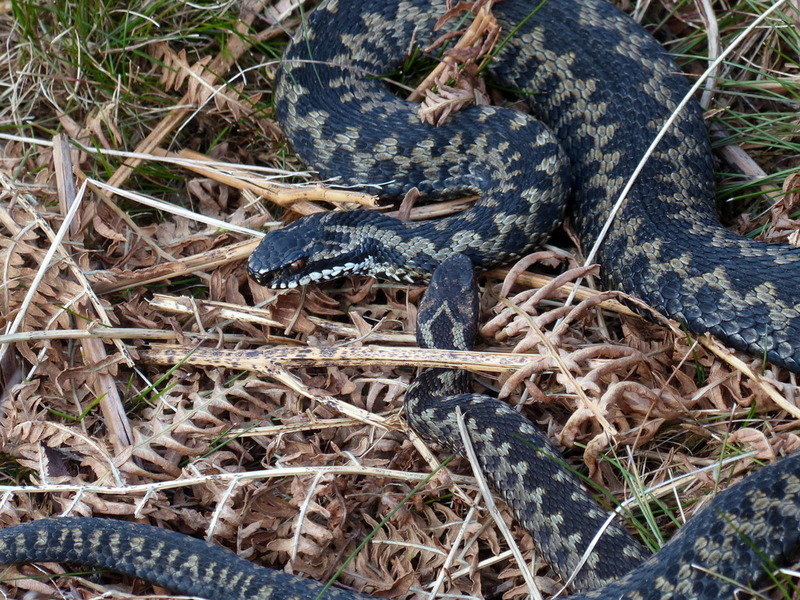 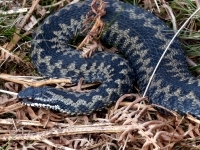 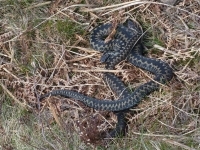 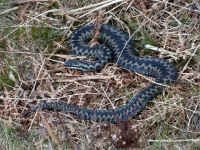 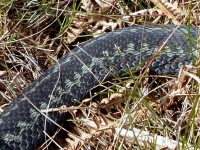 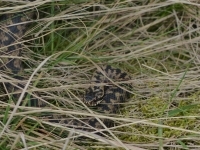 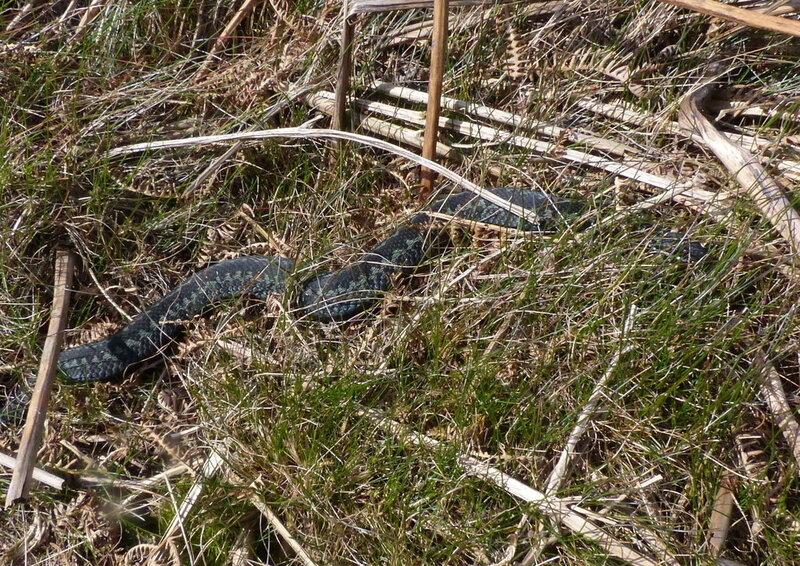 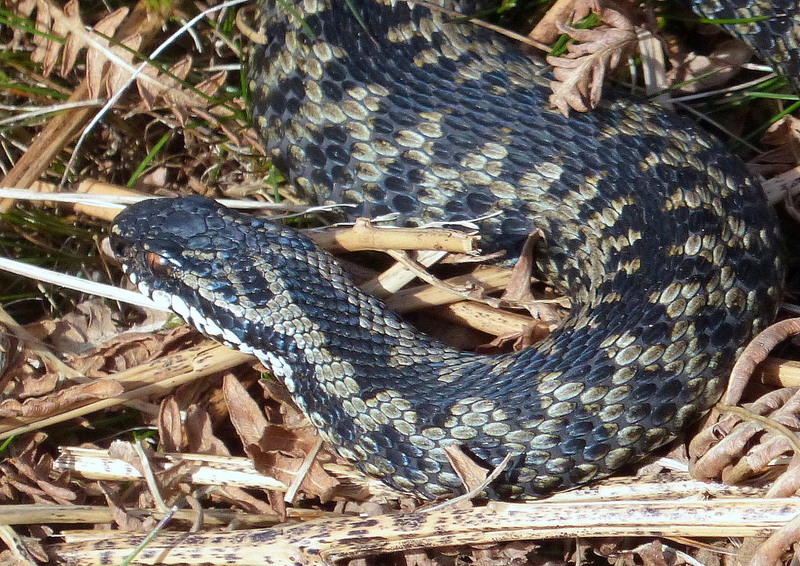 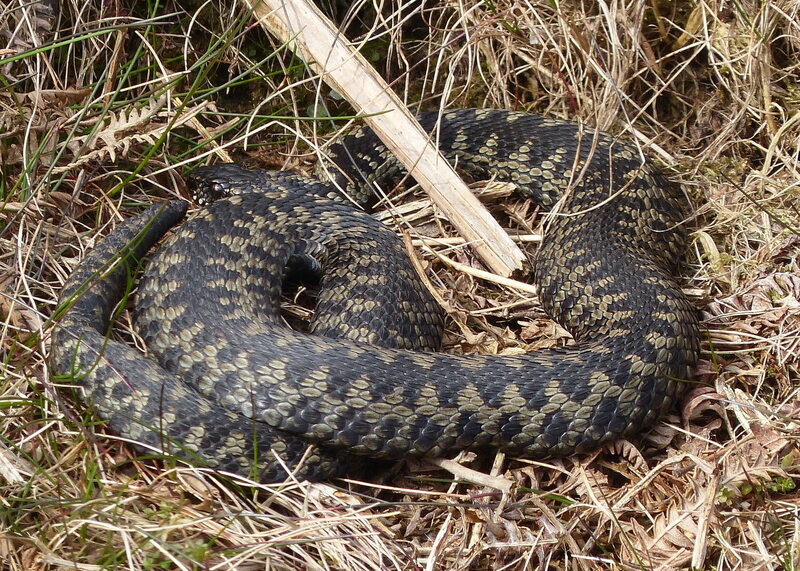 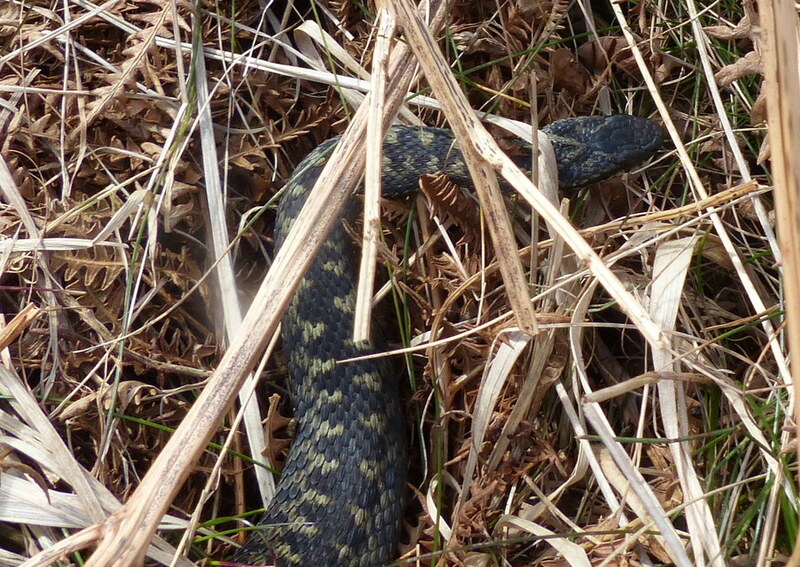 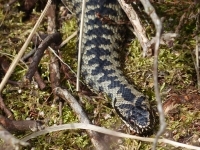 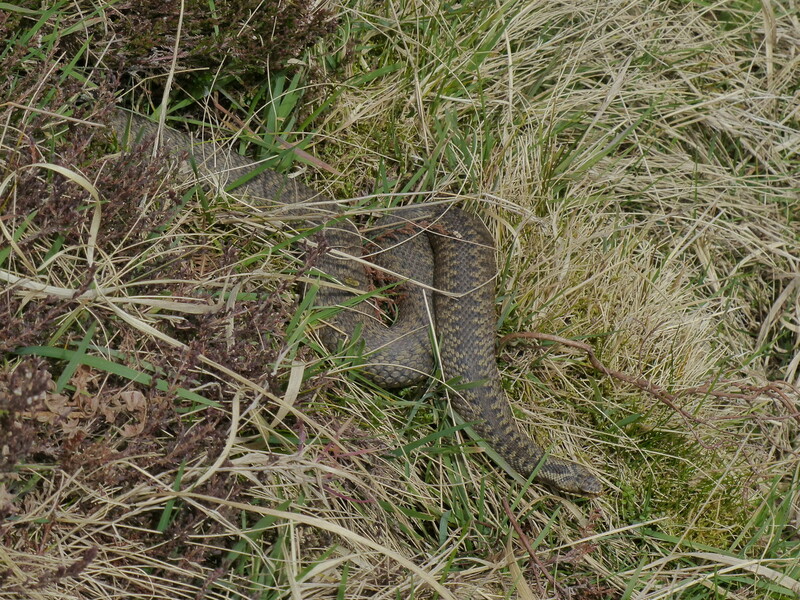 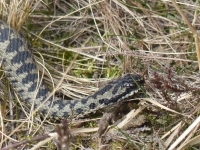 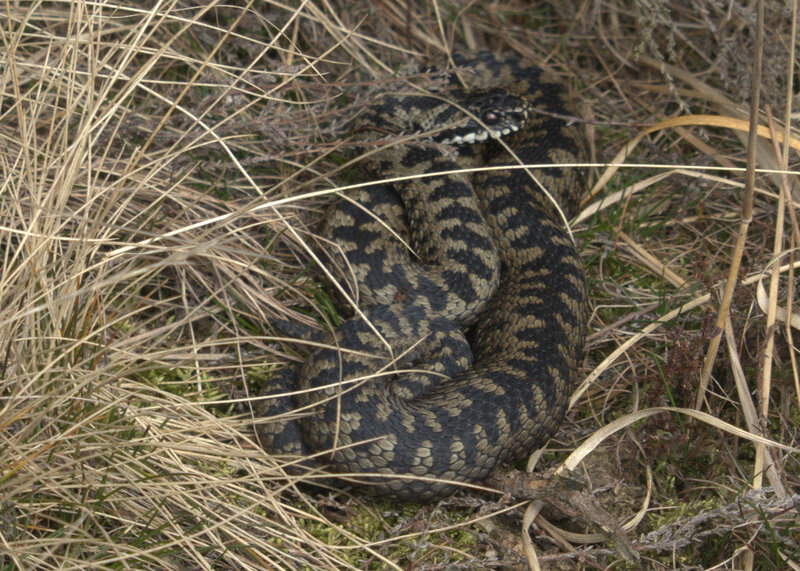 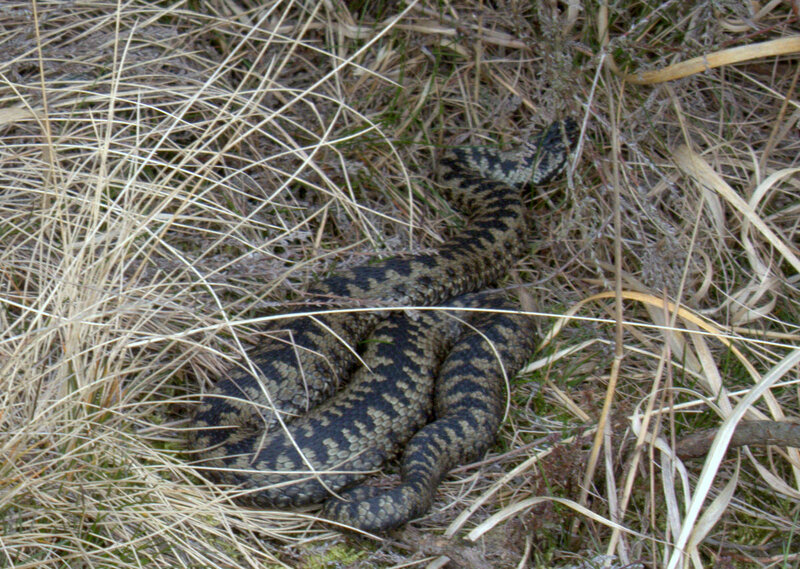 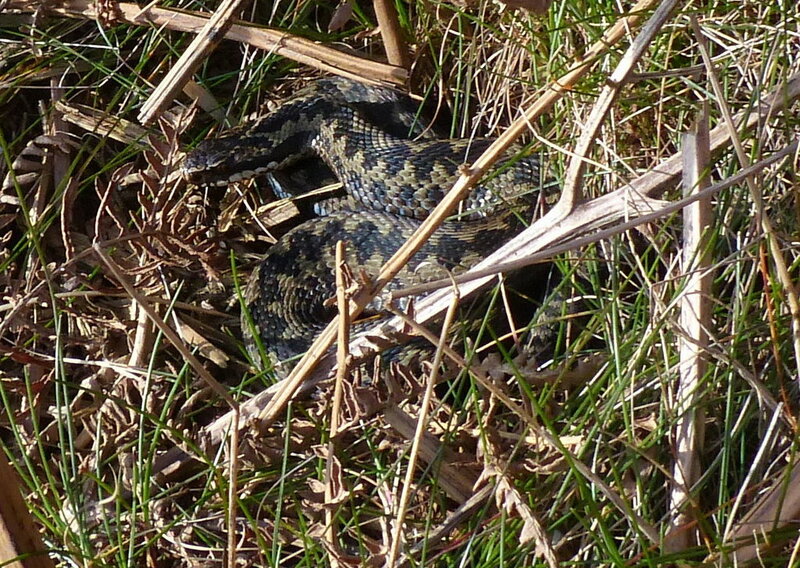 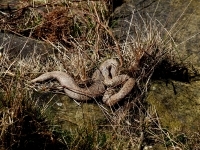 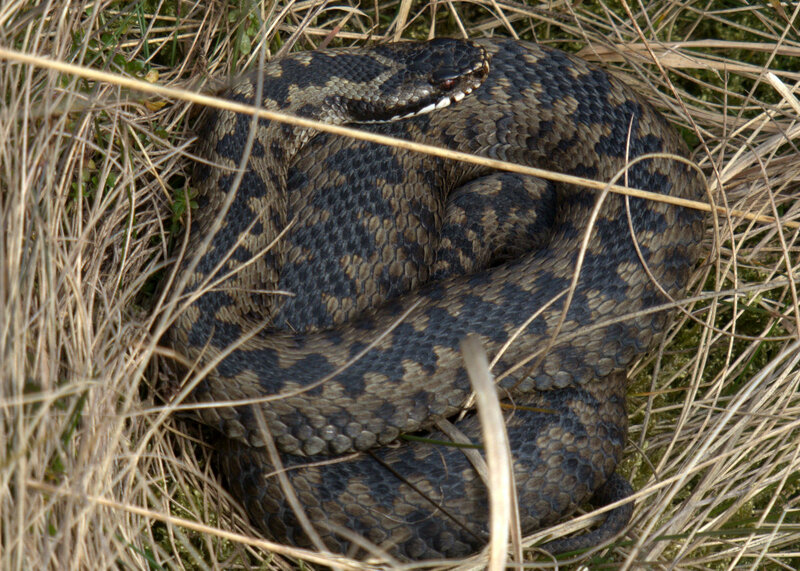 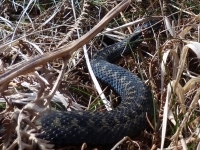 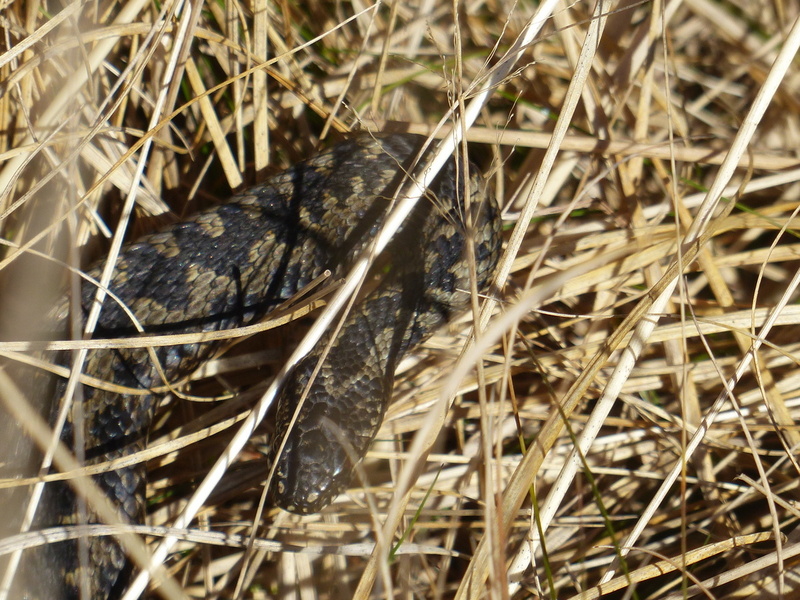 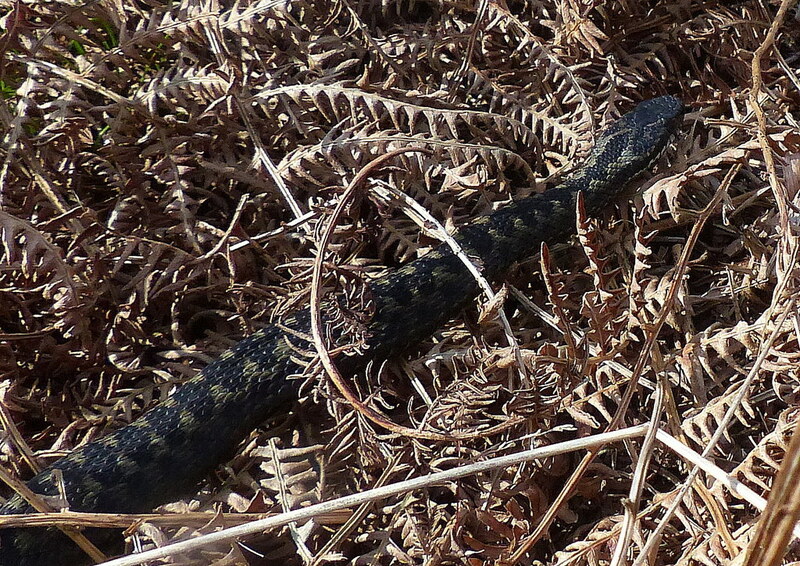 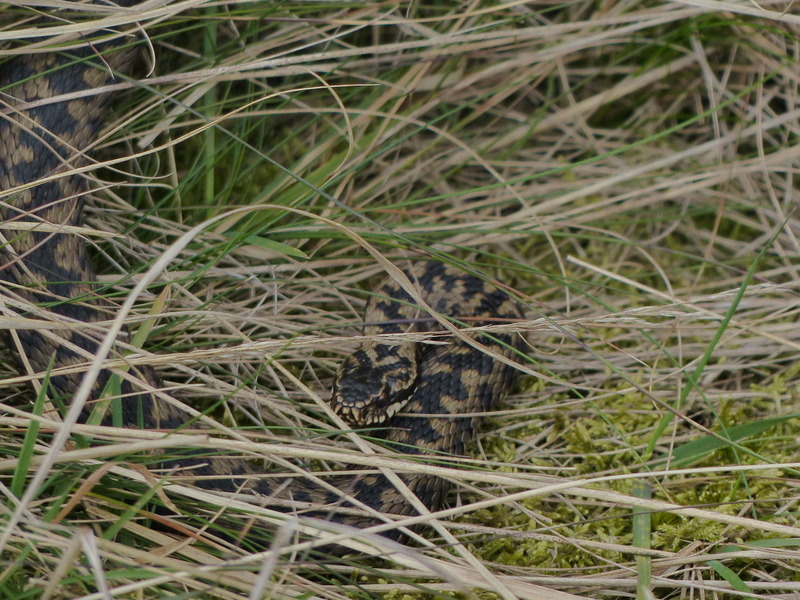 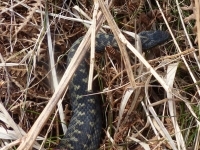 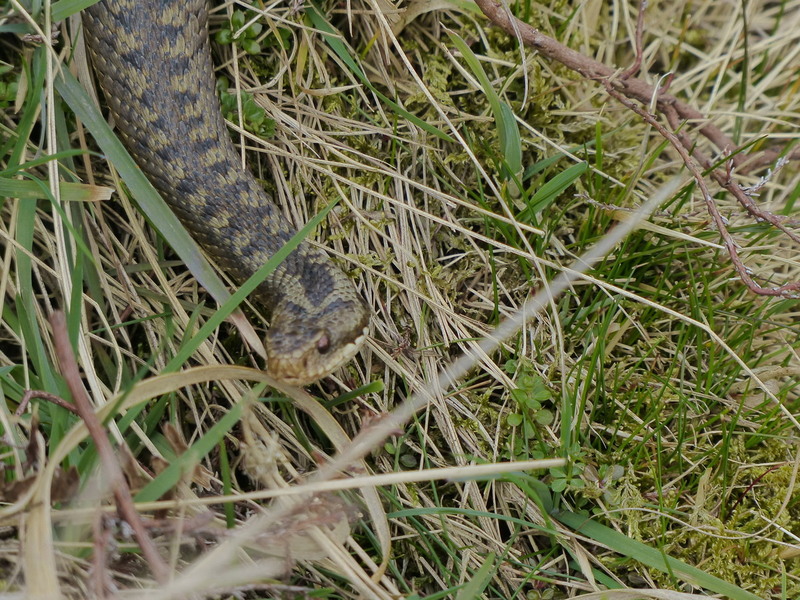 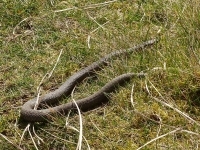 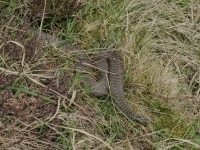 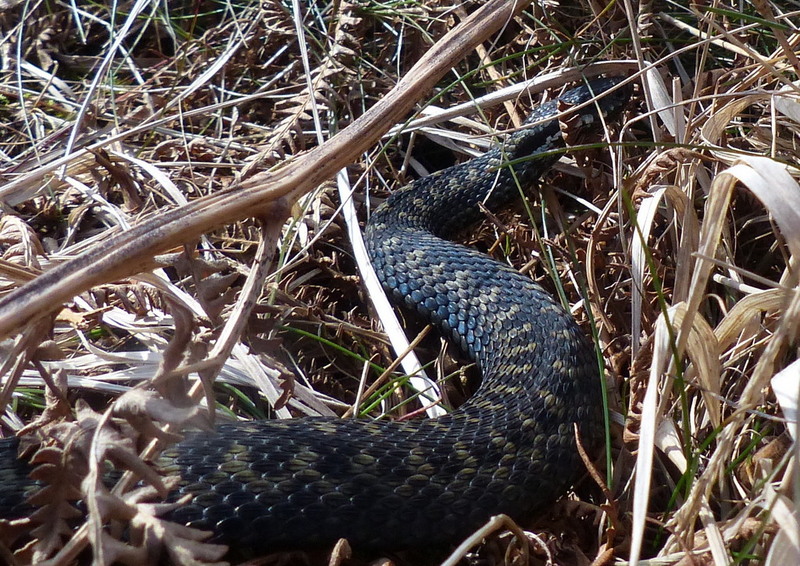 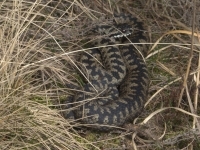 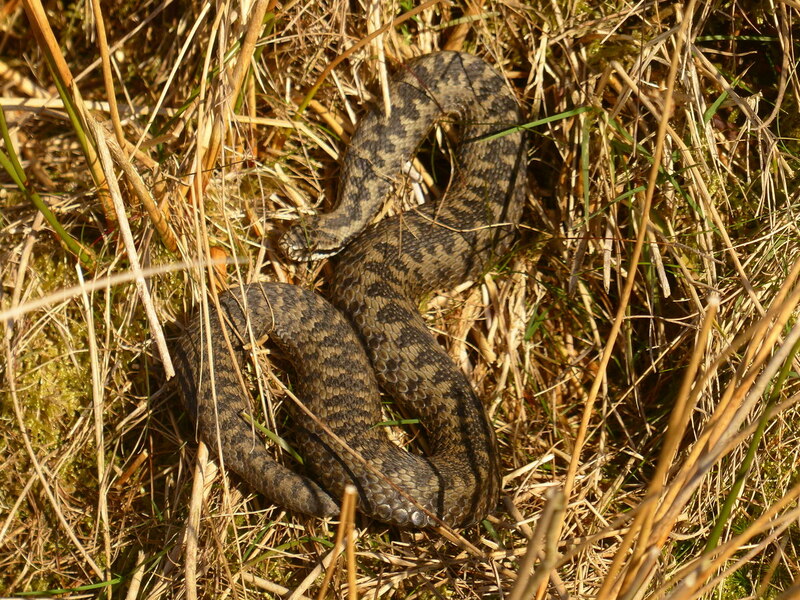 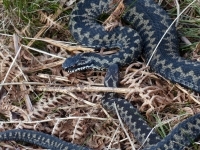 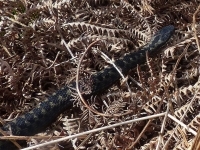 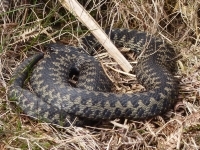 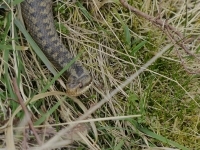 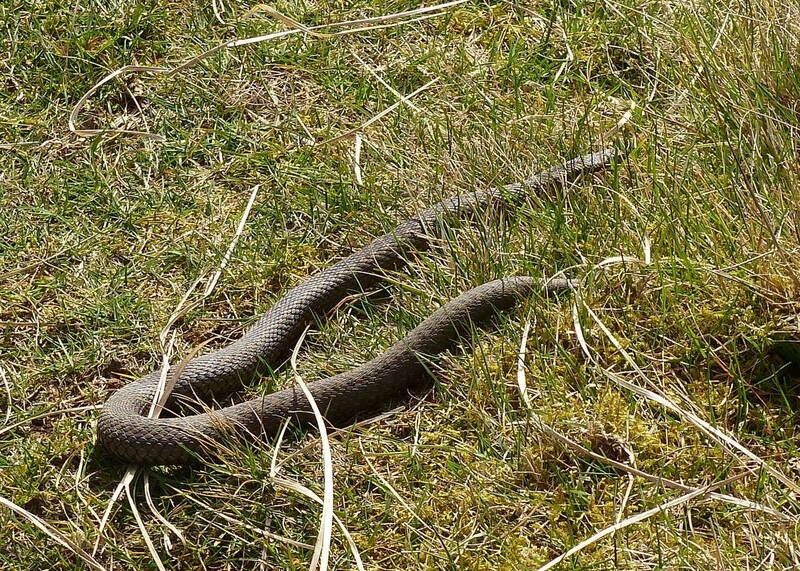 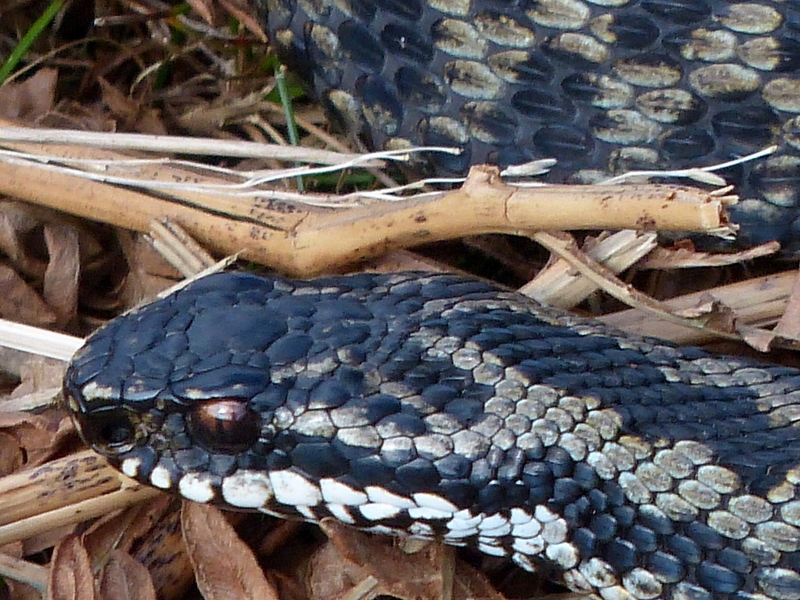 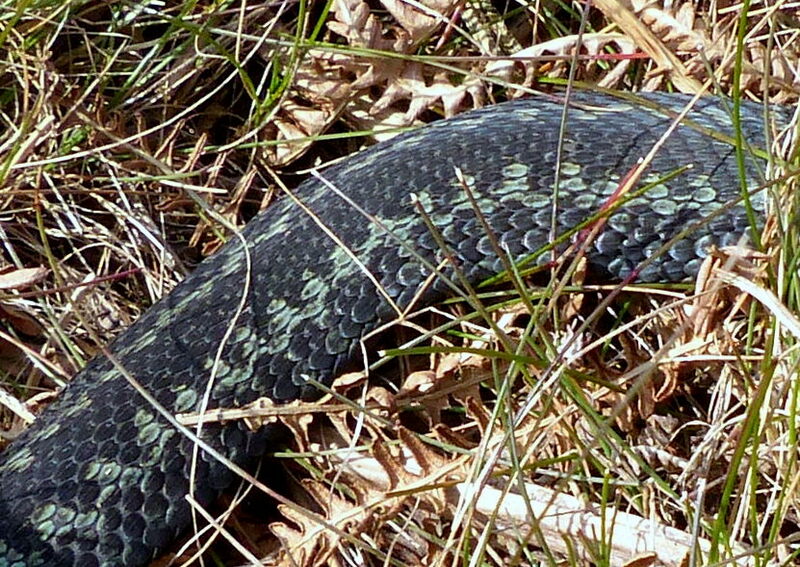 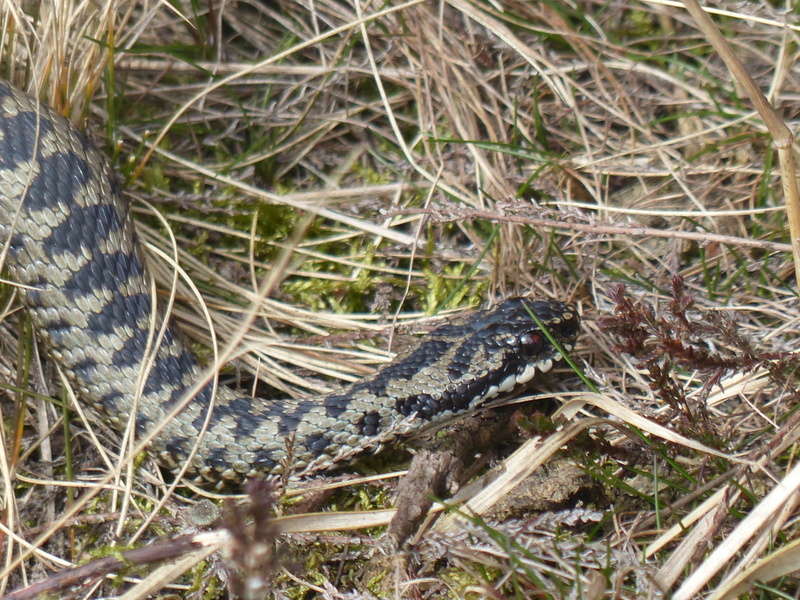 Adders were late in surfacing this Spring and were not reported until the end of February. 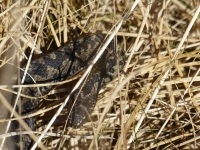 In some years they can be seen basking while patches of snow are still on the ground. 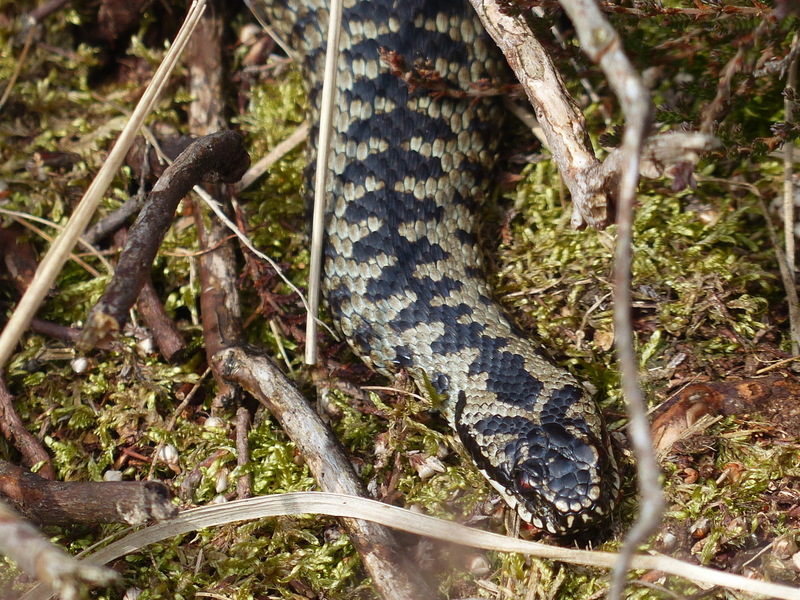 These days everyone is a photographer and perhaps people do not realise how fragile these creatures are, especially at this time of year. 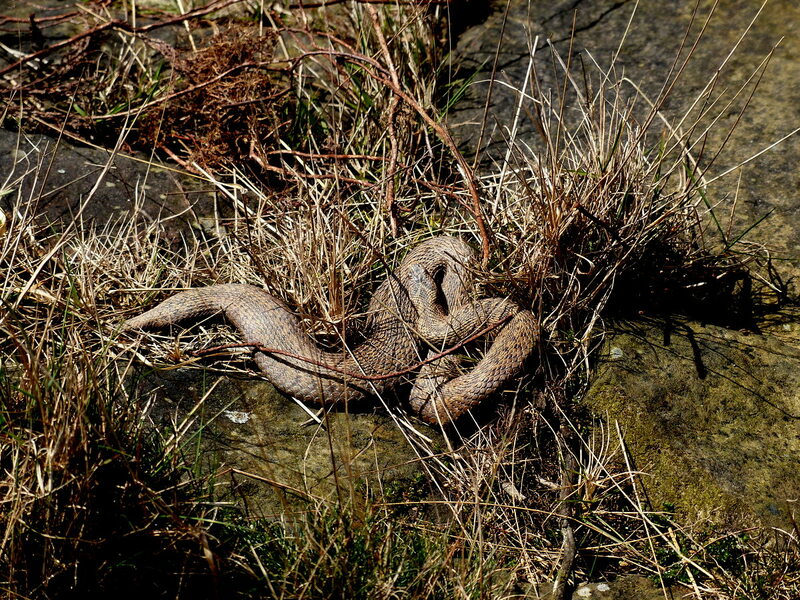 Please try not to disturb them as they need all the sunshine they can get to build up their strength for mating. 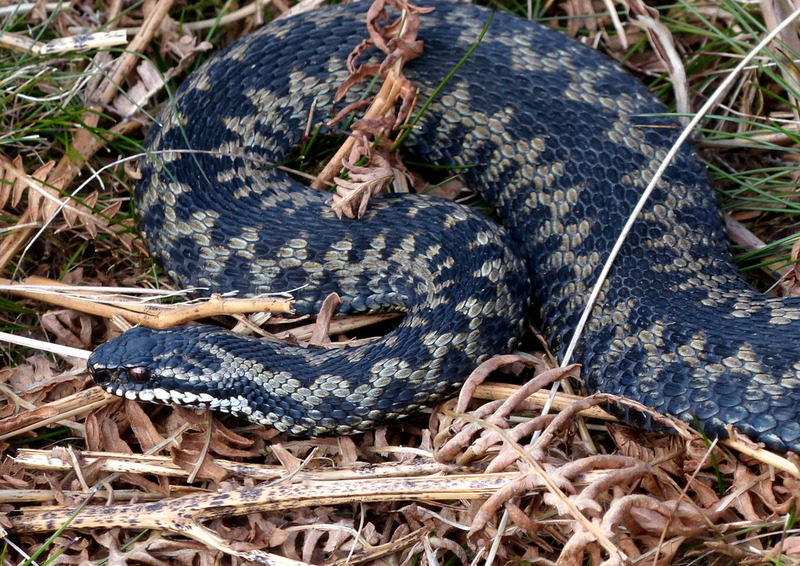 Every adder has different markings and the top of the head is the equivalent of a fingerprint. 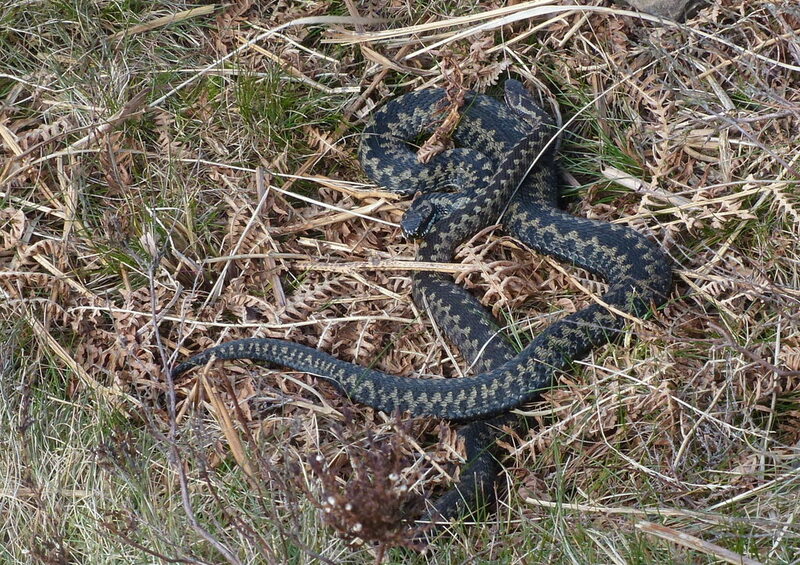 By recording these markings we can keep track of their numbers, location and life span. 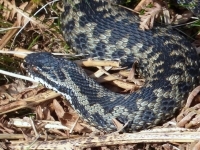 In the photographs above I have posted more than one image of the same adder but the head shots should be able to help identify which are duplicated. 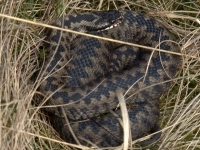 Males surface first in February / March, followed by the females in later March. 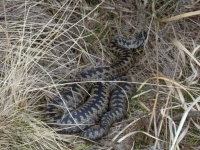 Males tend to be smaller than females and have a shape and markings which help tell the difference. 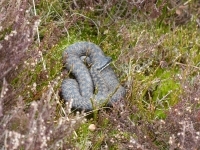 The colour is a guide but is by no means the defining factor. 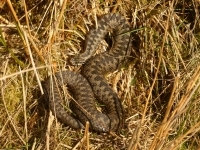 In spite of greater disturbance over recent years, numbers are still quite healthy and lets hope this remains the case.